“Circe is such a unique and good book; it takes you on a journey from the first chapter and doesn't let you go. It had a fascinating examination of time because Circe is immortal and time has a rather different meaning for those who cannot die. 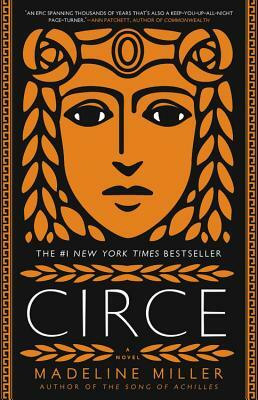 It is beautifully structured, allowing the reader to follow Circe as she experienced the world. One of the most precious examinations was on Circe's experience of loss, because as an immortal, she lived on while others she loved, hated, befriended and mothered passed on. The writing is captivating, following the same strength and depth as Miller's other book, The Song of Achilles. There is a philosophical tone to the whole book that worked for a story told with modern language. Miller dives right into the world of the gods and doesn't look back. She thrusts the reader into the world--warts and all--guiding one through the deception, lust and art of the Greek myths. The myths wave around Circe and while she is not a main hero, she participates and the alternative telling of those classic tales is refreshing."